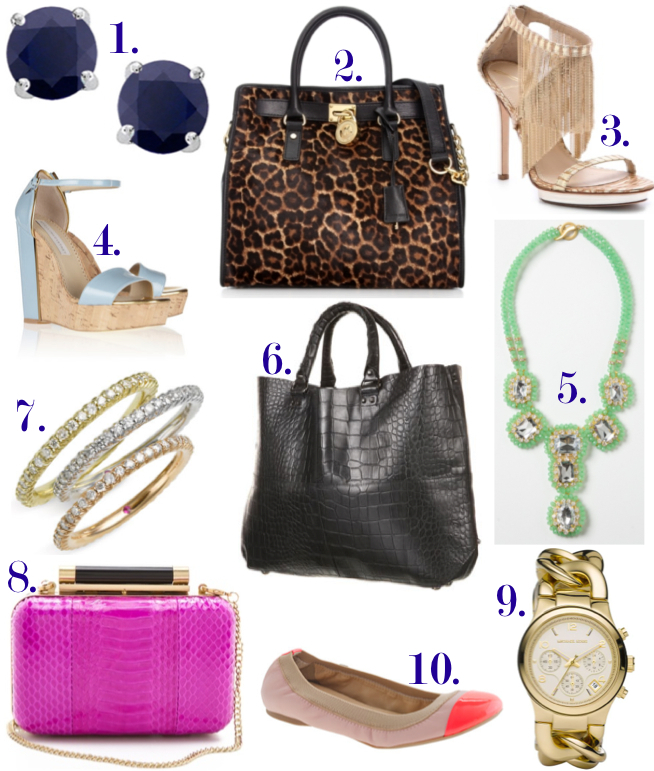 My last gift guide is for the girl who has everything, wants everything, and is hard to dazzle. You can never go wrong with getting a girl a bag, killer shoes, or something that sparkles. Are you listening boys? 1. Sapphire studs with no sticker shock, classic and pretty. My new shoes have a trendy design, pretty wedge heel, and are totally comfortable. The cushioning also means the balls of your feet are not bone tired after walking in heels for hours.